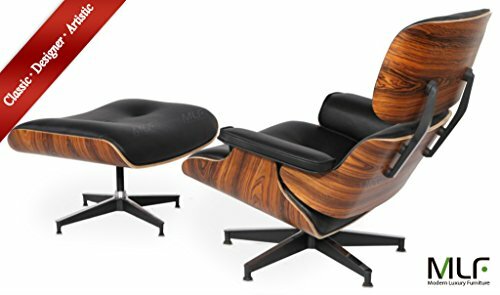 Home / Home and Garden / Home and Kitchen / Furniture / Living Room Furniture / Chairs / Recliners / MLF® Eames Lounge Chair & Ottoman (5 Colors). 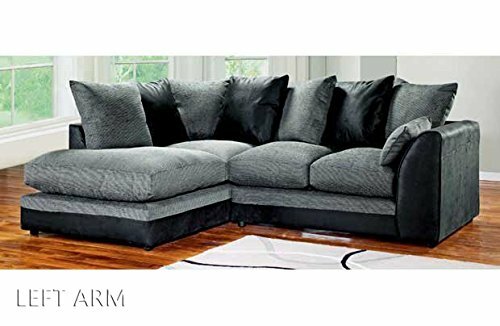 High-elastic Soft Foam Cushions, Great Resilience & Never Lose Elasticity. Superior Leather, 7-ply Laminated Veneer. Cast Aluminum 5 Star Swiveling Base. 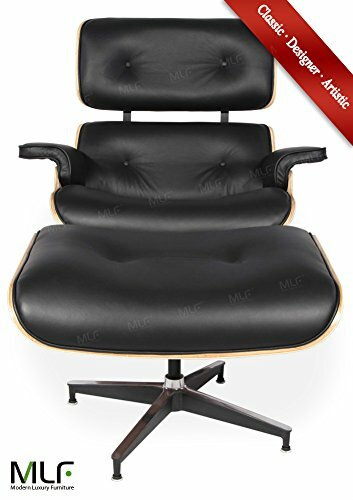 MLF® Eames Lounge Chair & Ottoman (5 Colors). 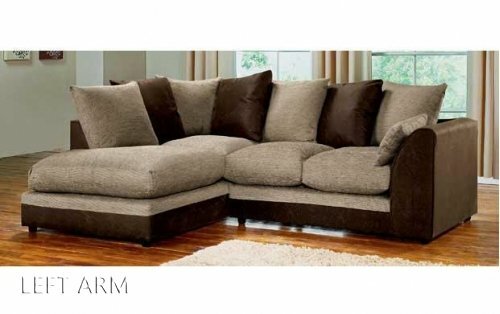 High-elastic Soft Foam Cushions, Great Resilience & Never Lose Elasticity. Superior Leather, 7-ply Laminated Veneer. Cast Aluminum 5 Star Swiveling Base. NOTICE: The following statement about this item was added by MLF®: This item is shipped and sold exclusively by MLF®. ONLY WE CAN GUARANTEE THE QUALITY AND WORKMANSHIP OF THIS REPRODUCTION IF SOLD BY MLF®. Be sure to select MLF® as the buying choice for this item. Chair L35.4*W35*H31.5, Seat height: 15.7 inches(40CM), Ottoman L27*W20.9*H15.7. Fits perfectly in sitting room, study room, leisure area, bedroom, office, club, etc. 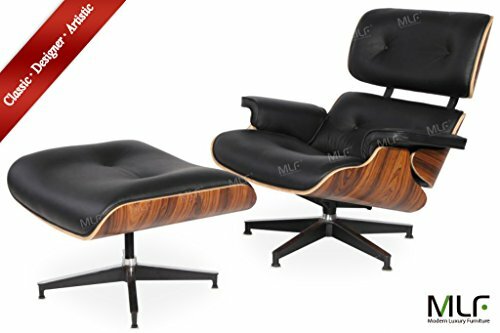 Famous charles eames chair replica, almost the same as the original eames lounge chair & ottoman. 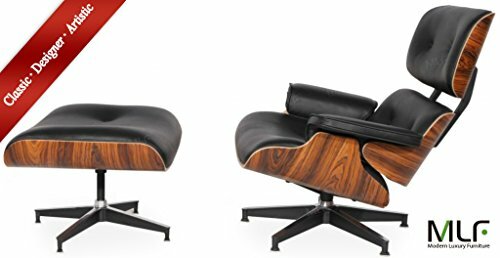 Top quality original imitation inspired by Charles(1907-1978) and Ray Eames(1932-1988)in 1956, iconic & classic furniture design in the 20th century. Hand assembled eames lounge chair & ottoman. Premium black aniline leather, including piping & buttons. Aniline leather is more soft to the touch and more expensive than Italian leather. High-elastic soft foam, great resilience & no marks. 7-ply laminated veneer in walnut color, prevent warping or cracking, security & longevity. 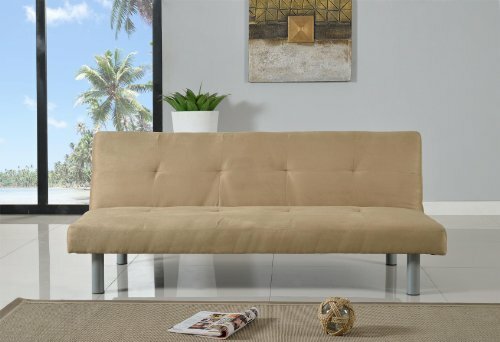 MLF® is a dedicated manufacturer of very high-quality 20th century modern classic design furniture replica. MLF® was established in 1998 – making us one of the oldest suppliers of this style of furniture. In that time we worked constantly on the refinement and improvement of every design that we manufacture – we firmly believe that the products that we now produce are amongst the finest reproductions found anywhere in the world. The authentic Eames Lounge Chair first appeared on the Arlene Francis “Home” show broadcast on the NBC television network in the USA in 1956. Immediately following the debut, Herman Miller launched an advertising campaign that highlighted the versatility of the chair. Print ads depicted the 670 in a Victorian parlor, occupied by a grandmother shelling peas on the front porch of an American Gothic style house, and in the middle of a sunny field of hay. The Eames Lounge Chair is widely considered one of the most significant designs of the 20th century. It has become the consummate lounge set, timelessly blending old-fashioned comfort and visionary modernism. Cast Aluminum five-star base with 360° swivel function, fixed backward tilt of approximately 15°. Rubber Shock Mounts connecting the head and back rest allow for flexibility. The height of the chair is fixed and cannot adjust. It’s the same as the original design.